*Want to take class more than once a week? Contact us directly before registering for a 30% discount on additional classes. Want more training time? Check out our ongoing Professional and Community memberships for open training opportunities! Aerial Yoga uses traditional yoga poses in combination with an aerial fabric/sling suspended low to the ground. The sling is a tool for modifications, progression and stability, which allows students to explore their ability with extra support. Aerial Yoga moves through yoga poses and flows, or Vinyasas, exploring flexibility and strength, shoulder opening, strength-building poses, and generous time exploring inversions (always optional). Class concludes with the signature cocoon savasana/resting pose in the fabric. Aerial yoga provides a gentle yet invigorating workout in which you’ll be able to revive, relax, and restore. Ask us about our 5, 10, and 20 punch-card pricing! Build the strength, stamina, and flexibility necessary for aerial and acrobatic prowess. This is a fitness class integrating conditioning with body-awareness – perfect for those wanting a taste of a new fitness form as well as seasoned athletes and performers looking for a great workout. This class incorporates cardio, HIIT, and the use of aerial apparatuses to work all of your muscles - we promise you’ll work up a sweat! Circus Project Flexibility is designed to increase your flexibility by focusing on deep stretching and the dynamic flexibility required of many circus arts disciplines. Class includes a basic warm-up, passive and active stretching. If you have a specific stretch goal this is the class for you! This sampler class incorporates a taster of aerial, acrobatics and object manipulation for students that are brand new or returning to the circus world. If you are feeling unsure about your fitness level, nervous about starting a new activity, or unsure what class you will like best, Circus Curious will be a good fit for you. Your time may include juggling, partner acrobatics, handbalancing, fabric and trapeze. Does taking an aerial class feel intimidating? This class is for you. Join our supportive group environment while you learn the basics of trapeze and fabric. This class is tailored towards students with little or no fitness background. Our Active Flexibility series is designed to increase the dynamic flexibility required of many circus arts disciplines. Class includes a basic warm-up, passive and active stretching. Circus Project entry-level aerial classes focus on single point trapeze and aerial fabric. Fundamentals classes are designed to provide a solid foundation in aerial technique and artistry while encouraging creative expression. This class is ideal for active people looking to get into the air! Circus Project second-level aerial classes continue work on static trapeze, aerial fabric, aerial rope, and aerial hoop. Designed for students who have mastered entry-level aerial curriculum, Aerial 2 class focuses on expanding skill vocabulary while deepening complimentary circus skills such as acrobatics and handbalancing. Students will work to increase stamina, build strength and flexibility, and broaden creative expression. Have you always had a passion for making people smile? Why not take up the art of clowning!? Clowning is a timeless art form that can be misunderstood these days— it's not just putting on makeup and acting like a fool to make people laugh! With roots in the Elizabethan theatre, the art form has grown into a worldwide phenomenon and has become an iconic character in circus. You’ll learn basic miming and Chekhov techniques to explore movement through space. 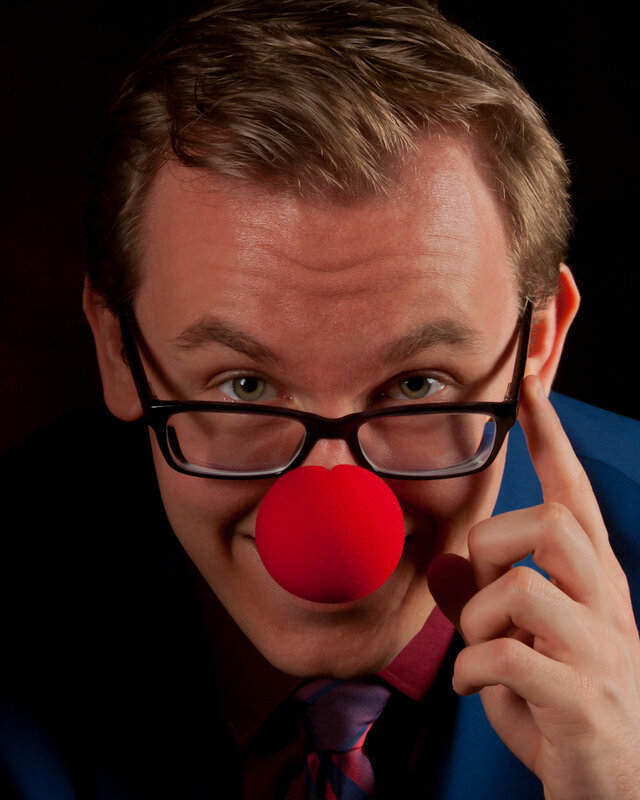 With a new understanding of movement, you will learn how to perform classic clown gags with style. If you want to learn how to open up and be bold or just want to have fun, then this is the class for you! Pre-requisites: Aerial fundamentals 2. Tumbling basics also recommended. Thick pants or flexible jeans over leggings or tights. Thick long-sleeve shirt or sweatshirt (no zipper) over tank or tshirt. Chinese pole is a vertical apparatus where performers use a rubberized pole structure to perform amazing acrobatic skills and feats of strength. All students start with the basics of climbing and supporting the body as they develop strength and aerial awareness. Chinese pole relies on a foundation of good general physical fitness and this class will focus on preparing the body for this with core, upper body and leg conditioning. Endurance and power training will also be developed and applied as students progress to more dynamic climbing styles and slides on the pole. This will be combined with technique training to hold static positions that will increase, over time, in difficulty and WOW-factor. Lastly, dynamic movement choreography and acrobatic transitions will be taught with the fundamental skills. Pre-requisites: Must be able to hold a bridge for 30 sec. Must be able to hold all splits for 30 sec. The contortion class is designed for students who want to learn the proper technique and strength necessary to pursue this exquisite art form. With a strong emphasis on injury prevention and conditioning, students will learn how to improve their active flexibility and range of motion in a safe manner. Students will build strength to stabilize and support their bodies while exploring shapes, balances and dynamic moves that utilize extreme flexibility. Pre-requisites: Contortion 2, Coach approval or assessment required to register. Students must know how to effectively and safely warm up independently, be comfortable executing a chest-stand from multiple entries, balance a contortion handstand for four seconds, and hold a handstand against the wall for one minute. Late Spring mini-series: May 10-May 31st. Contortion Skills is for the student with substantial previous experience and a current practice in contortion. This class will focus on skill development - we will tighten up our technique, learn new vocabulary and push to a higher level of control. Students will progress their skill level in handstands, standing balances, dynamic skills and transitions. If you are looking for a class to help increase your flexibility or get started with inversions, then Contortion 1 or 2 is for you. If you already have good flexibility, experience with balances and inversions, and want to push to the next level or work on a specific goal, then join us in Contortion Skills! Students should arrive early and complete a full warm-up before class. Students registered for Contortion Skills are allowed to use the Circus Project gym, not including aerial, for one hour before class begins in order to do so. Students are expected to supplement class time with their own independent training throughout the week in order to maximize learning. Also known as the "simple wheel," the Cyr Wheel is a ground-based apparatus that allows a nearly limitless array of acrobatic maneuvers. This class is designed to build a solid foundation of technique and to help develop a sense of artistry inside and outside of the wheel. Cyr Wheel is a great option for those new to circus looking for an interesting workout as well as the seasoned circus performer looking to add a new skill. Class size is limited to maintain a low student-to-teacher ratio allowing for individual attention. In this class students will develop further aerial vocabulary of drops and poses and explore transitions between skills. With an emphasis on technique and performance students will gain endurance, flexibility and a better understanding of the mechanics behind the moves. Students taking this class should already have solid aerial fundamentals and feel confident being in the air. Take your fabric skills to the next level with this exciting class! Fabric 2 continues to explore aerial drops, poses and transitions, while moving towards more challenging technique. Students will work on linking moves, sequencing, and learning new skills. Ever wanted to stand on your hands but didn't know where to begin? This class introduces adult beginner students to the art of the handstand. Students will learn proper body alignment, key strength and flexibility elements, balance drills, and how to dismount or exit a handstand in all directions safely. Curriculum also includes injury prevention, shoulder and wrist conditioning, and core stability. Get ready to take your handbalancing practice to the next level! This handbalancing class is for students who are comfortable kicking or jumping to a handstand. Students will work on drills for body alignment, various body shapes, strength, flexibility, endurance and pressing to handstand. Curriculum also includes injury prevention, shoulder and wrist conditioning, and core stability. This class will focus on press progressions, one-arm drills, and other advanced positions and transitions. With an emphasis on endurance and technique, enjoy seeing where your handstand practice can go! Pre-requisites: Aerial Fundamentals 2 or assessment. Students must be able to complete three consecutive straight-arm straddle-ups and have the stamina to comfortably execute 2-3 minute sequences on the apparatus. In this class, students will deepen their experience with the aerial hoop (lyra). Students will expand their vocabulary, working on skills based in flexibility, strength, and dynamics. We will also explore sequencing, with a specific attention to the opportunities the hoop opens up for twisting, rolling and spinning! This class is for students who already have solid aerial fundamentals and some experience on aerial hoop. Establishing a foundation of partner acrobatic fundamentals, students will learn duo skills and pyramids that incorporate strength, flexibility, cooperative movement, and spatial awareness. Complementary skills in basic tumbling and handstands may also be explored. Partners are not required, but pairs are welcome to sign up together. This class is for students who already have solid foundations as a base, middle or flier in partner acrobatics. Hand to hand, pyramids, banquine and pitching will all be explored giving attention to injury prevention, flexibility and conditioning. Technical training and drills will be introduced to help students learn safety and efficiently. Tumbling and handstand skills will also be developed as tools for perfecting partnered skills. No partner required, but duos already working together are welcome. Learn the fundamentals and further progressions of aerial straps artistry in this physically challenging class. Aerial straps artists develop high levels of physical strength and active flexibility in order to utilize their technique. For this reason, learning how to use straps technique and training methods can be very valuable for any aerialist. This class will focus on elements including side flag (also known as "meat hook"), back flag, back planche, front lever, back balance and roll-up support. Compression and inversion strength development will be paired with stretches during drills that will be tailored to each student's needs. Once safe proficiency in foundation skills is achieved we will move on to how they can be used in motion with spin, orbit and dynamic transitions. Pre-requisites: This class is an option for students who have advanced from Aerial Fundamentals 2 or by assessment. Focus your aerial skills with this trapeze specific class! Students will dive into skills done on a horizontal bar, such as front and back balances, toe hangs, heel hangs, neck hangs, etc. There will also be dynamic sequences, combinations, and technical drills. Grow your endurance, strength, and aerial prowess! Learn the progressions to turn your forward rolls into dive rolls, make your cartwheels into aerials and add a backhandspring to your roundoff! This class will primarily focus on taking the skills you already have and adding flight to them. Start with handsprings and connecting skills and work towards front and back tucks.